204 pages, full-color, 39 pieces of art (B/W on #50 paper; standard and premium editions on #70), revised versions of each Uncanny Echo game (issues 0-9), and 45 pages of support text. 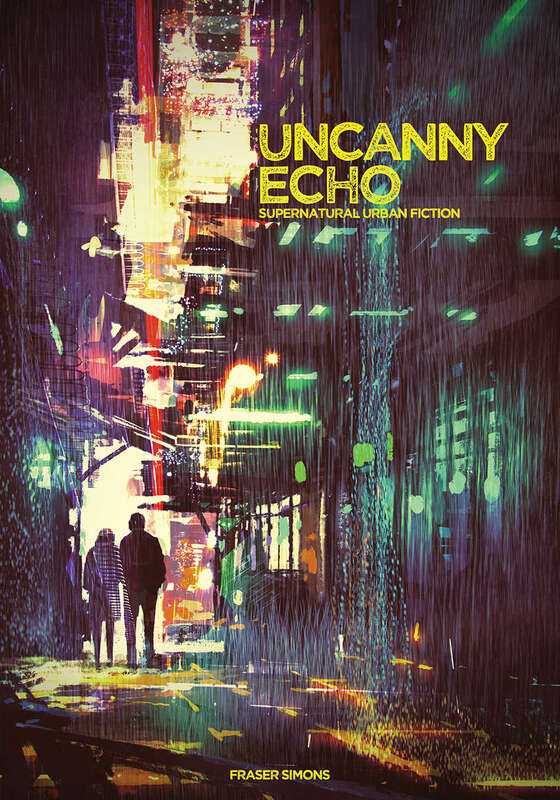 Uncanny Echo is a tabletop roleplaying game which has altered the Powered by the Apocalypse engine, creating a new way to collaboratively author supernatural urban fiction. It is comprised of 10 full Powered by the Apocalypse games called issues. Each utilizes a stripped down ruleset that gets you to the table with little to no prep time, utilizing mechanics like keys from Lady Blackbird and clocks from The Sprawl and Blades in the Dark to do so. Do those of us who bought the individual PDFs get this compiled version as an update? This is actually more than each issue compiled together in one place, it's a full Powered by the Apocalypse game with around 60 additional pages of writing. Every issue has been tweaked to fit an anthology and more art was purchased for this book. Fair enough. Thanks for the quick follow-up. No problem, I appreciate your purchasing the previous issues!